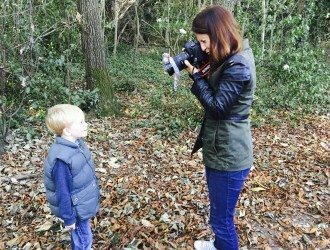 It can be hard to get your head around how a photoshoot works sometimes and what’s involved. So if your head is spinning with questions then please put the kettle on, relax with a nice cuppa and have a read below. Hopefully this will give you a little idea of how it all works, but please feel free to call me so I can go through more details with you or answer any other questions on the phone. I love a good natter…..
It’s important to use a location that makes you all happy and relaxed. Many families opt for a local park where I can capture those naturally candid moments while they are blissfully unaware that they are having their photo taken. 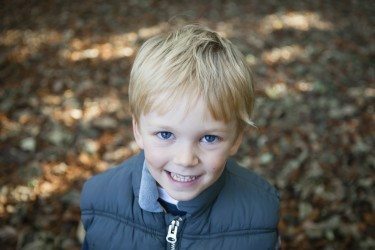 Children can run around, climb trees, blow bubbles, play peek-a-boo and just generally concentrate on having lots of fun. Some families prefer me to come to their home. Here I use the brightest and lightest rooms to capture you all hanging out in your most relaxed and natural habitat. If it’s not raining I love to get the children out in the garden playing, just being themselves. A shoot at home is normally best for any children not yet walking. Approx. 1 hour, but I always allow extra time for those unforeseen moments when someone needs a cuddle, toilet break or snack. It’s great if you can all wear colours that compliment each other and avoid heavy branding or patterns in your chosen clothing. I‘ll send you a prep sheet before the shoot with some tips and we can chat about all this beforehand so we can decided what may work best within your current wardrobe options. Every parent worries their child will be bored or shy or have a ‘moment’. But please don’t worry. I’m a parent of two young children myself so I am well-versed in the ways to get children to co-operate without them knowing that they actually are. After booking I call you to find out more about you all as a family. This not only helps me get to know you but it also helps me to connect with your children on the day of the shoot. If your daughter is princess mad, we can chat about her favourite characters and dresses, or if your son is transport-mad we can throw a few paper aeroplanes around and chat about his latest train journey. I’m always led by your children’s little personalities and if they want to sing and jump about or just sit on mum’s lap then that’s fine. It’s all about keeping them distracted and happy so they don’t even realise they are being photographed. And if we need a bit of extra help, I always have my trusty bag of surprise props with me that help to distract and entertain everyone – especially when I ask Dad to wear my special silly glasses to create a bit of a giggle! Once I’ve chatted to you, I can advise on what you may need. Special toys, favourite books and hand-knitted blankets to cuddle up in are some of the most popular items that families often have to hand. Oh yes – and plenty of snacks, an emergency change of clothes and a few ‘treats’ always go down well. For the children that is, not me. Although I don’t deny that I’m partial to the odd jelly bean! I ask for a £60 retainer fee at the point of booking which holds your date and time. This is off-set against your final cost which is due on the day of the photoshoot. I accept bank transfers, cash or cheques only. If we are scheduled for an outdoor shoot, then I’m constantly checking the weather in the few days leading up to the day. If a downpour looks likely then I will contact you to postpone, but this happens surprisingly rarely. I totally understand that little ones can get poorly. Don’t worry, all I ask is that you give me as much notice as possible and we can try to rearrange for another suitable date within the next 4 weeks. Your retainer fee is not refundable but it can be transferred to another suitable date within the next month. Yes, I have a have public liability insurance. A certificate can be shown on request. Please feel free to call me on 07977 417 336 or send me a message on tessa@tessaclements.co.uk so we can arrange a suitable date.